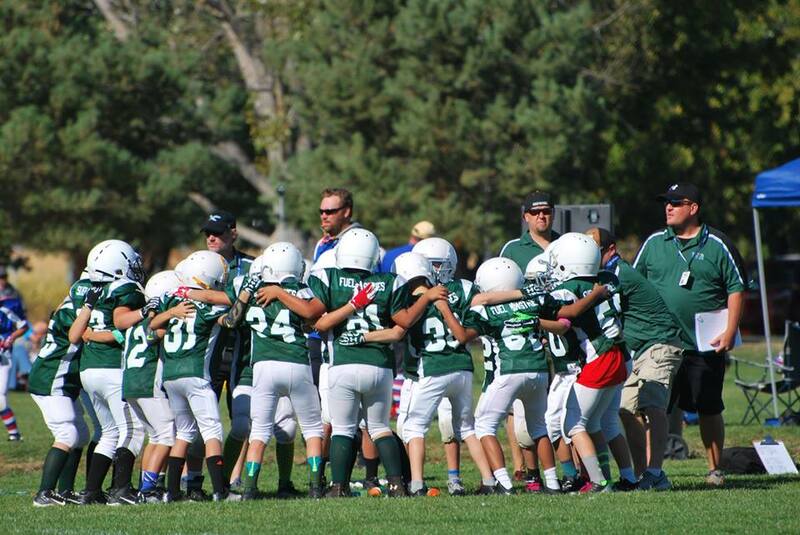 Wood River Youth Football is a part of the Boise Optimist Club. Our football program is a traveling club with games as far as Boise. Practice is held at Wood River Middle School fields. All of our coaches are volunteers. If you are interested in helping out please email our Youth Sports Coordinator at youthsports@woodriverymca.org or with any other questions. August 25th: Jamboree in Boise at the BU Football Stadium. Kick off the season with a scrimmage on the smurf turf! September 8th: 1st game of the season. All games are Saturdays. Season runs through mid October. We anticipate 3-4 homes games and 3 to 4 away games. Cheer practice is Tuesday, Wednesday and Thursday from 6:30-7:30pm at the Wood River Middle School. To Register also please fill out our Parent Code of Conduct. If you are not currently a member you must also fill out a short term pass with your participants name listed.